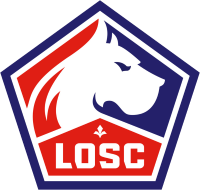 Lille (No 2) played Marseille in Sept and has also impressed this year. 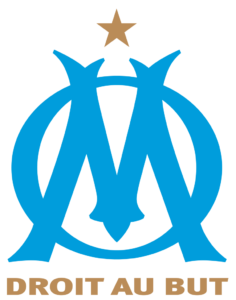 After 9 matches without victory, the troubled big club won Marseille in Caen, but on a cheap background, and the team (No. 7) must do without a number of significant people. Odds, but still nice value. Lille is number 2 and beat Marseille 3-0 in Sept. This year: 3/3 wins (1 in the trophy). Recently earned 3-1 at Caen and 2-1 at home against local rival Amiens. Offensivtrio behind centreforward, Bamba / Ikoné / Pepe, are fast, challenging, creative and goal-oriented. Contraindications Scary. Maignan is a class goalkeeper. Defend solidly (and have left back Celik back after quarantine). On the def midfield, Xeka made a injury comeback with substitution + goal against Amiens. Before last weekend’s victory in Caen, Marseille (no. 7) was up for 9 matches (all tournaments) in a row without victory. Uncertain defense, pale offensive. The victory was on a cheap backdrop: absent-minded Caen looked red in the 51. Centreforward Germain again ringing (he and competitor Mitroglou disappointed). Creator Payet is a new absence. Was weak, but successor Sanson (came in, was good and scored in Caen), is also new absence, left wing Ocampos ditto. Still out of Marseille (3rd in a row) is best midfielder, Rami. Makera Rolando is also experienced, but slow and was calling Caen. Out since Christmas: the solid back Sakai. Left-back Amavi, with a few exceptions, has been poor and could well use a reliever. Small played poker match this Tuesday (starting paired 6 ideal starters including top scorer Pepe). Marseille had no match at midweek. The Centreforward (Rémy, Leão or R. Fonte) scored too little. Talented Leão, however, played well in recent 2 league games. Lille sold the strong left-back Ballo-Touré in the start-Jan (replacing Koné has however made it excellent). Def midfielder Mendes possibly on the way away. The big club Marseille has an intimidating home ground (fans did, however, point their team in the latest home game). 4 of Lilles 5 losses are a little out. Marseille finally got a victory last weekend. This after good fight and 1-1 against Monaco and good midfield play and unfortunate loss in Saint-Étienne. The midway also provided a good bet in Caen, especially Strootman, who has settled after poor autumn. The experienced def midfielder Gustavo is probably back after injury kept him out against Caen; he can also play in the middle defense. Top scorer Thauvin is always dangerous. And just signed: attacking Balotelli – poisonous when in shape (though miserable for Nice in the fall and set off since 4/12).Ligue 1 uses VAR this season. It may possibly cause more penalties, and possibly several main goals. But also possibly more canceled goals. Grass in good condition in recent Marseille home game, January 13th.